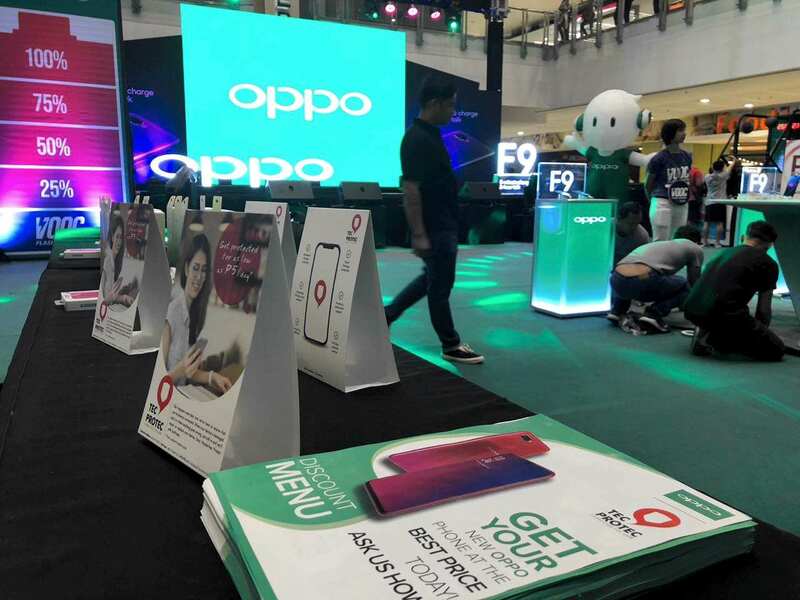 Want to upgrade your phone to the new OPPO F9 without breaking the bank? 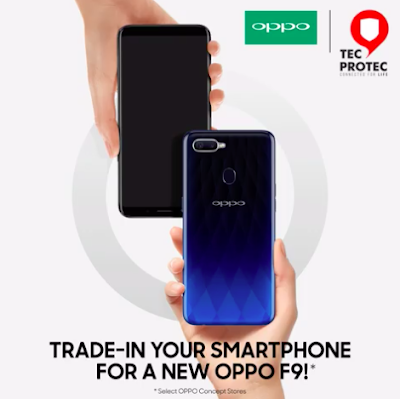 AmTrust Mobile Solutions and OPPO is elevating consumer purchasing power with its new TecProtec Trade-in program partnership. 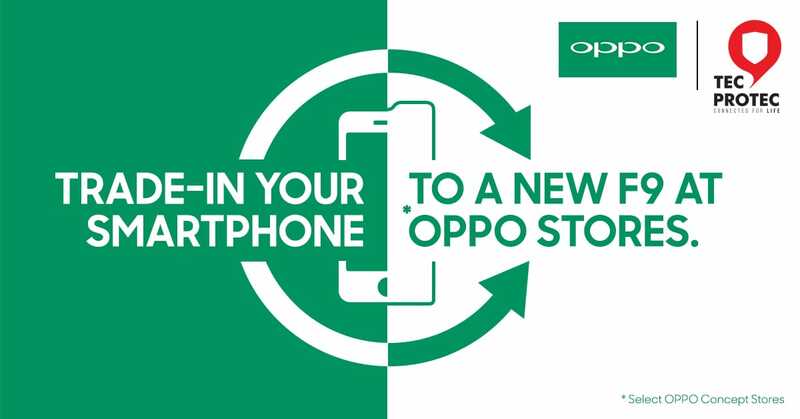 With peace of mind and fast processing for trade-in, customers may now have their current smartphones assessed and evaluated for a new OPPO smartphone directly at select OPPO concept stores. 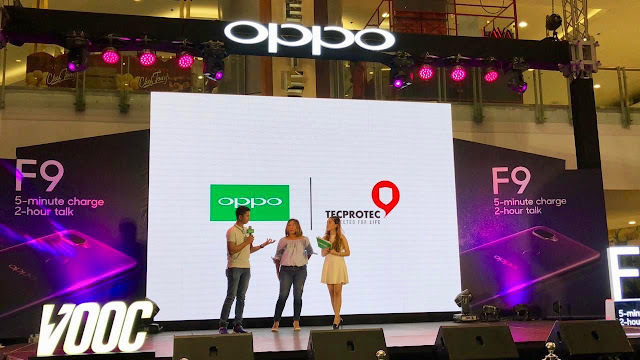 TecProtec, a program by AmTrust Mobile Solutions, in exclusive partnership with top international smartphone brand OPPO, aimed to offer more options to consumers in purchasing smartphones. 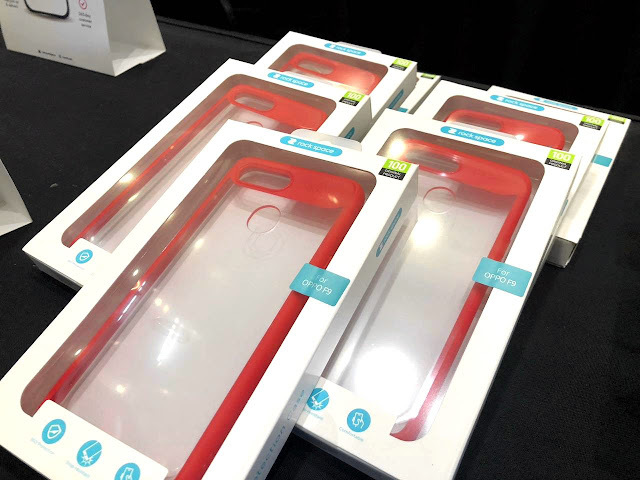 Starting September 28, 2018, customers may now inquire to trade-in their current smartphone and get evaluated in its value in just 5 minutes. Qualified smartphones will then be eligible for its trade-in value to purchase a new OPPO smartphone such as the recently launched F9 with VOOC Flash Charging technology. 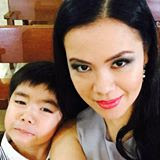 “The goal of this program is to provide an easy way for smartphone owners to upgrade to their choice of new phone,” said Jaime Jose M. Javier, Jr., AmTrust Mobile Solutions Philippines CEO. 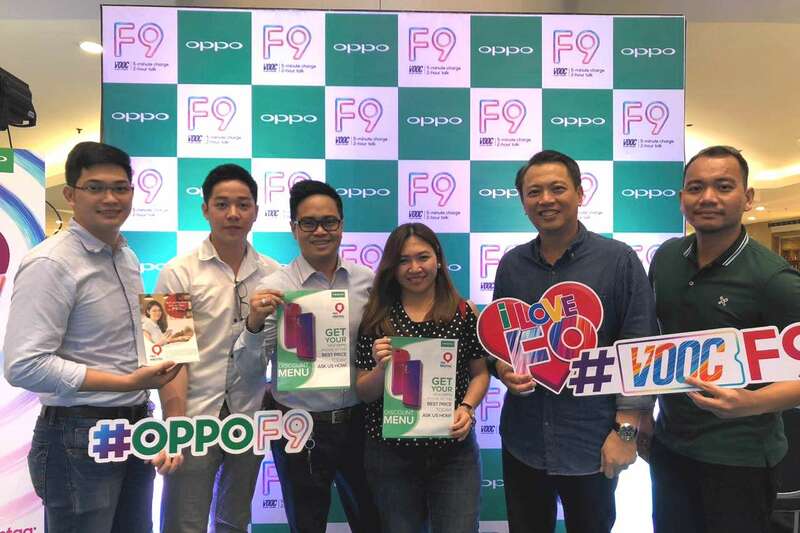 “With the Trade-in to the New OPPO F9 Program, we are happy to provide a great solution to more smartphone owners to upgrade and get their dream phone,” Javier added. 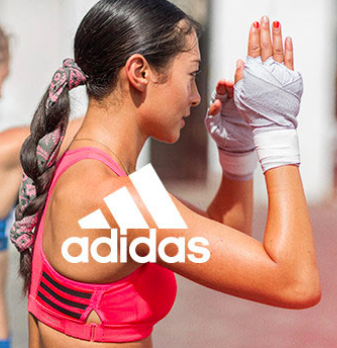 “It’s a simple and easy solution to trade-in and upgrade. 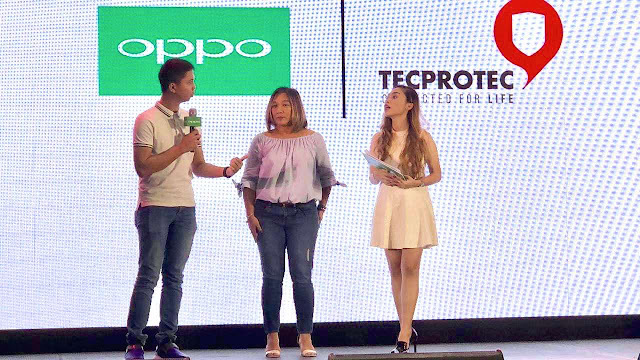 With any old device, a customer can walk-in to our selected outlets and get the trade-in completed within minutes” announced Garrick Hung, OPPO Philippines Vice President. 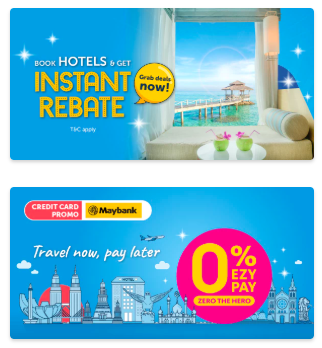 “This eliminates the time-consuming journey of having your phone sold first and even avoiding the risk of low ballers. In just a few steps, anyone can walk out with the new OPPO F9 in their hands and just in one store.” Hung added. Part of the goal was to develop a creative and engaging concept that showcases TecProtec’s Trade-In Program positioning and unique mobile trade-in capabilities. TecProtec’s approach to mobile is anchored by their belief that mobile is more than just a transaction platform; it can strengthen the relationship of brands with consumers. Starting September 29, 2018, Saturday customers may now visit the following OPPO concept stores to inquire about availing current smartphone to the TecProtec trade-in program. 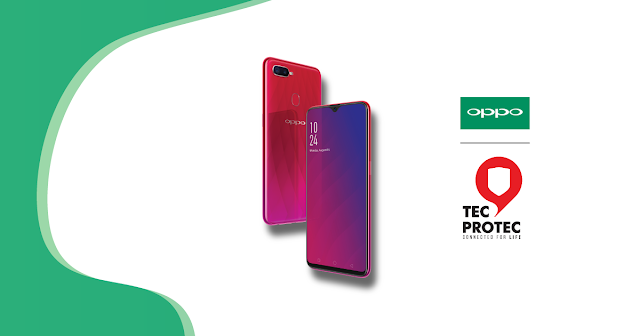 Visit a participating OPPO Concept Store today and get yourself a new OPPO F9! TecProtec, a brand of AmTrust Mobile Solutions, is a device protection program that gives you peace of mind. As smartphones become an integrated part of our lifestyle, it is important to ensure our devices are protected and TecProtec ensures that you're always connected.